Khalil Thirlaway takes us to the brain, to explore what actually happens when you take heroin. Khalil - Heroin, like morphine, is an opiate synthesised from the pods of a poppy plant. Although heroin's godfather though he was creating a safer form of morphine for pain relief, he accidentally synthesised an even riskier molecule and named it heroin for the feelings of heroin instilled in the user. But, within a few years, after being marketed and sold as a medicine for conditions like insomnia, heroin was found to be two to three times more potent than morphine and also, way, way more addictive. 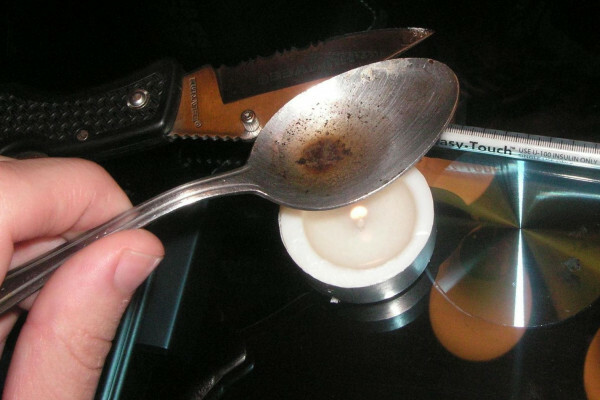 Heroin, also known as horse, smack or junk works in different ways. Part of it works as a stimulant which means it speeds up your brain, but a greater portion is a sedative or depressant which slows you down. Whether it's injected smoked or snorted it quickly enters the brain where it's turned back into morphine and binds to proteins called opioid receptors. These are found in areas of the brain associated with pain, reward, and also in the brainstem which regulates automatic processes like breathing. After docking onto the brain cells, heroin triggers the release of 'happy hormone' dopamine, up to the ten times more than normal which produces feelings of intense euphoria, relaxation, fearlessness and tolerance to pain. Yet heroin and other opioids don't suppress the pain itself, rather they change the subjected experience of pain. This is why people receiving these drugs for pain relief say they still feel the discomfort, but it doesn't bother them anymore. After more and more exposure to opioids like heroin, users begin to build up a tolerance to these flash floods of dopamine and need more and more of the drug to create the same effect. Heroin can also cause pain systems to go into overdrive once the dose has worn off, meaning the drug is needed just to feel normal. Going without a fix can cause withdrawal symptoms like nausea, cramps, anxiety, fever, and diarrhea. Long term, heroin wastes the brain, causing damage to areas of the brain associated with memory, decision making and complex thought.